Test-Drive Spiffy, Risk-Free for 30 Days! Spiffy was designed to pay for itself by helping you make more sales. If Spiffy doesn’t cover the cost of itself in the first 30 days, or if it’s not a fit for any other reason, just ask for your money back. 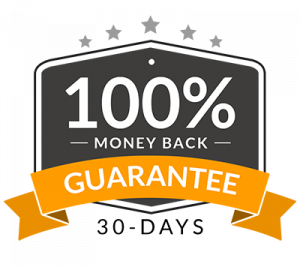 We’ll refund your money 100%, guaranteed! Your order forms are leaking sales! Transform Your Infusionsoft Order Forms Into Mobile Friendly Sales Machines in 55 seconds or less! Spiffy was designed to help you capture sales you’re currently missing across all devices, and especially from mobile visitors. A smooth and beautiful mobile checkout experience has never been easier to set up with Infusionsoft. We’ve done all the hard work, all you have to do is sign up, copy/paste, done! Boost your mobile sales conversions in 55 seconds or less! Don't go another day with leaky order forms! The Ecommerce package is a one-time charge on top of your monthly Spiffy subscription. Soon, we will have an Ecommerce plan for $75/mo. but for now, we are making it easy and accessible for you to optimize your Shopping Cart checkout process for only $199, one-time.